Taking advantage of the long-awaited Summer sunshine, we took a trip to the Miller’s Arms this lunchtime for a bit of a treat in the shape of beer and the MA’s excellent nachos. Very pleasant. You really can’t beat a beer and nibbles on a Sunday lunchtime. I wonder if we will get the opportunity to have this kind of relaxed afternoon in Japan. I hope so. There’s been a bit of discussion about this book and its author on the various kendo forums. I can’t really comment on either – not having read the book or being conversant with its author. However based on what I’ve learned through other commentators, there are a few points that I think are worth making: Firstly, it’s clear this guy is no classically trained swordsman. He has no interest in history, culture or koryu, only the effectiveness of the nihonto in cutting people down. In true NRA style, this morbid fascination appears to be justified by the well-worn “self-defence” argument. This is a hair’s breadth away from the mentality of the gutter thug and completely counter to the path of the martial artist. Secondly, books such as these play straight into the hands of paranoid legislators who would like nothing more than to ban all forms of martial arts. In the UK, “samurai swords” are now banned. Martial artists are – for the moment – exempt but there are already rumours of a total blanket ban on the horizon. If and when it does happen, it will be books such as this that will be held aloft as justification. Lastly, in the light of the recent tragic events in Akihabara, the Japanese government is now looking seriously at introducing legislation restricting the sale of edged weapons. 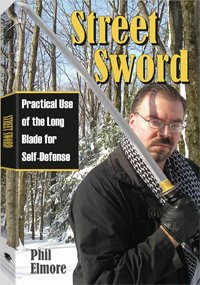 Once again, it’s not hard to see how Mr. Elmore and his encouragement to use the nihonto to lethal effect could justify the argument that all sword art practitioners should be viewed as paranoid survivalists with an unhealthy interest in weaponry. The study of the sword is not about killing; it is about becoming a better person, achieved through diligent and sincere training in a recognised school. Neither Jeff or anyone else on the Kendo forums seems willing to condemn this book, which I find quite surprising. I however have no such reserve and I feel it should be condemned: Encouraging people to own and use the nihonto purely for violent purposes – howsoever justified – is wrong. New toys are great; free new toys are even better! I’ve just started using Microsoft’s Live Writer for blog posts and it’s great. And unbelievably, it’s also free!